The sun is out today. I was sure I was going to go on a bike ride, but after my run the other night, I was excited to get out again. I got a massage this morning (being hard on your body means taking care of your body…) and spent the rest of the day getting things done around the house. I prefer to workout in the mornings, but with the daylight lasting longer and the sun finding its way out today, it didn’t feel like a chore at all. I’m still feeling slow on the run, but I’m trying to give myself a little grace while I ramp up again. I saw: Tulips! They are finally peeking their heads out. 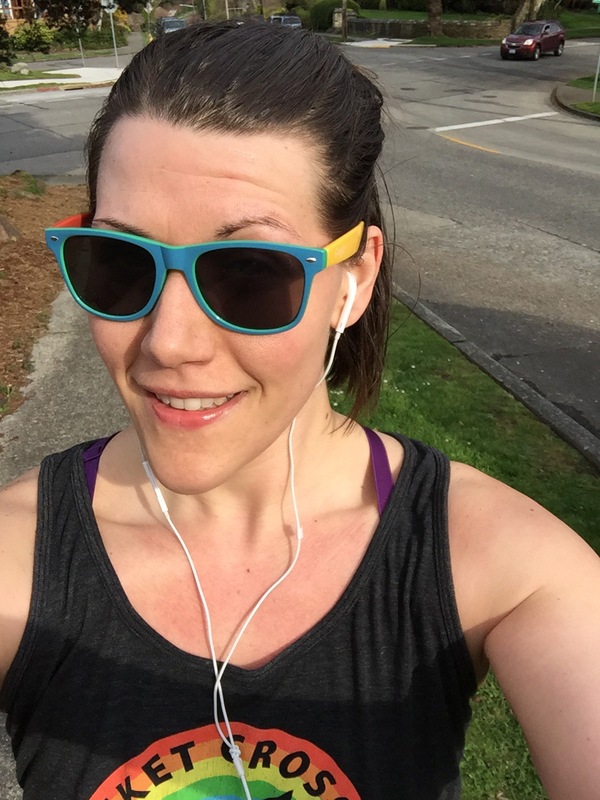 I loved: Seeings all the Seattleites out, soaking up some Vitamin D.
#Realtalk: Do pants that stay up while you run exist?